Hello. my name is Master Sheamus O' Neill and on behalf of The World Taekwondo Association® and The World Hap-Kido Association®, I would like to welcome you to our nakoo.net web-site and to your first step into the world of martial arts. Our programs are designed to provide the highest quality Martial Arts instruction in the country, from traditional poomses to the latest trends in World Taekwondo Martial Art and Competition training. Also as members of the World Kido Federation/Hanminjok Hapkido Association we can offer you Hapkido and weapons training, We aim to offer you and our students the very best in Fitness and self defence and to provide a safe and fun atmosphere for kids and adults while teaching respect and discipline. We have many programs that will fit the need of any child or adult. 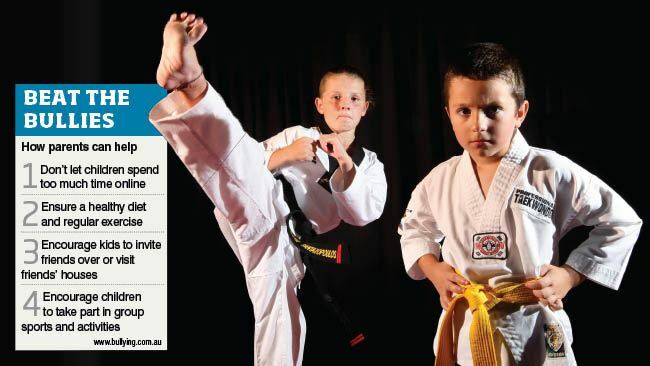 We are a true Martial Art School with classes for men, women and children starting at the age of 5. 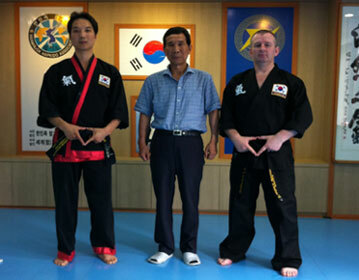 Kukkiwon Certified Instructors - Kukkiwon Certified Black Belt - Character building aspects (eg. Confidence, Respect, Fitness) - Competition programs regulated by the World Taekwondo Federation. Experienced Instructors bring out the best in all our students and prepares them for their challenges with everyday life. 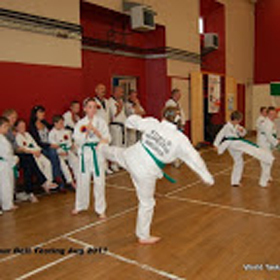 My Name is Caoimhe Ryan and I am 11 years old, I started World Taekwondo in Ballingarry when I was 6 yeras old. I had heard about it from my cousins and my Aunt so I decided to give it a try. From the very first class I really enjoyed it. 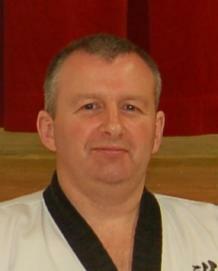 My Instructor is Paul Cleere and he has always been a great help to me. I started doing one class per week in Ballingarry but now that I have reached my third black tip I attend two clsses in Ballingarry and I go to Thurles class every Tuesday, and monthly training with Master Sheamus O'Neill. Last April I attended a Seminar conducted by Great GrandMaster Hae Man Park which I really enjoyed and found very interesting. I also attended a Self Defence Seminar in Ballingarry conducted by Master Sheamus O'Neill, and every year I take part in the St. Patricks Day Parades. In class I enjoy learing the different types of kicks and techniques, as well as the hand movements and self defence. My favourite part is learing pommsae and I really enjoy breaking boards. The classes are hard work but I enjoy it all the same. It's a great way of keeping fit, it also builds my confidence and I am tested all the time. I have made alot of new friends through going to class, and some of my school friends have joined too. We encourage each other along the way which is a great help. Now that I have reached my Red Belt - third Black stripe, I help Instructor Paul to teach the lower grades in the class, This is great fun and a great way of passing on what I have learned and I always hope that the people I am helping will come to Love WORLD TAEKWONDO as much as I do. World Taekwondo started in Paris in 2000, 16th arrondissement, Rue Lauriston. Rain caused the reflection of the Pharmacist's Green Cross on the pavement, the Eiffel Tower stood illuminated in the window and something pressed lightly in my chest. Mentioning the slight inconvenience to my wife resulted in one of the finest medical systems in the world to accelerate from zero through to conclusion within 12 hours. SABU (ambulance), Pompidou Hospital, examinations, ECG, angioplasty (stent), recovery room, private room. Two days later, discharge. No fuss, no drama, all seamlessly flowed in a blur of movement toculmination. All that I clearly remember is something stuck into an artery in the groin. A jiggling feeling around the centre of the chest and the doctor asking `should I fix this while I'm here?' Fix it now! I did not want this to happen again later. At discharge he told me two things, exercise and no fat - simple. Exercise - not as easy as it sounds .... In Ireland I tried walking and cycling - both requiring Kamikaze mindset - major concerns being the state of our roads and the driving skills of the Irish motorist. Eventually I returned to swimming, a sport of my youth, clocking up 80 - 100 lenghts a day, using blades to increase exertion rate. My weigth decreased and muscle tone increased - swimming was not easy and still good for me, I was in my own world and nobody could bother me. At this time, Rachel was attending National School and had a slight altercation, the wife was bemoaning the fact that the children did not do sport at school, so one day doing my lengths, I decided a martial art would meet both Requirements, Martial art was foreign to me, sports I was familiar with included rugby ) which I played for 20 years), swimming, cricket, athletics and water polo. I heard that there was a Martial Arts school in Roscrea, a few miles away, She was 7. Aoife started a year later at age 5. Rachel was awared her blackbelt at the age of 13 and Aoife at 11. Rachel received her 2nd Dan at age 16. They are both instructors and assistant instructors at their local school. I have watched World Taekwondo for many years and the question must be asked : why do some people succeed while others fall by the way side? From a personal perspective, the following points may have helped these two children succeed. 2. One parent was responsible and drove them on those days. 3. 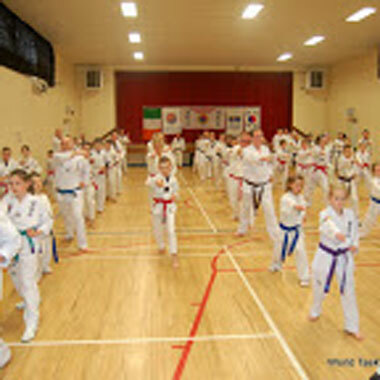 Gradings took place evry 3 months allowing for planning of holidays etc. No gradings were missed. 4. Poomsas were practised every day and checked. 5. Children often reticent to continue in the art; - at these times executive decisions are required. Parents seem reluctant to push their children and speaking to my daughters today, they are appreciative that such decisions were reached and enforced. i. Respect, its need and the need to demonstrate it to instructors and fellow students. iii, The need to give back to others following behind you. v. Exercise benefits, able to continue until very old age. 7. The trip to Seoul in 2006 helped stimulate the child and was also important to mix World Taekwondo and cultural aspects of Seoul on tour. 8. The contribution of conference days with the Masters and also competitions allows senior belts to aim and train to reach their next level. 9. World Taekwondo training allowed for the development of a quiet confidence and physical awareness. When the girls started I watched all classes from the back of the hall and each night Master Sheamus questioned when would I commence training? I was comfortable swimming, not needing more exercise and feeling too old to start something new! However my resolve weakened and the challenge began. The first thing I realised was that everyone was far too preoccupied with their own efforts to notice me. As someone said everyone was a white belt at some time. Training went well until I reached red belt level, waiting to grade to black, when various Doctors who thought I had a swollen saliva gland suddenly realised s omething more serious was about to unfold : Non-Hodgkins Lymphoma - this preciptated three years of biopsies, scans, chemotherapy and radiotherapy. Did World Taekwondo help alleviate this condition in any way? All treatments recommend of some description and whilst World Taekwondo would be considered extreme on this occasion, I believe it helped maintain other parts of the body and definitely contributed to my mental health and focus. Firstly, it allowed me to develop goals-Chemotherapy was every three weeks and always on thursday and training was on a Monday so I allowed myself three days recovery. Training also permitted the body to sweat thus removing the toxic effects caused by chemotherapy (my own view entirely) Secondly. it is important that students are able to mentally visualise their poomsas. From personal experience, I know that this mental exercise drops my blood pressure by an amazing amount during stressful medical procedures. This visualisation can become more and more detailed so that the Pommsa becomes perfect and time seems to pass faster whilst undergoing treatments such as 6 hour chemotherapy sessions. Keep moving - From Paris to Seoul - From Kilkenny inexorably - Towards Hawaii ! The World Taekwondo Association® Adult program will help you to develop and maintain a sound body and mind, and increase your abilities in self–defence. Who Studies Martial Arts ? People from all walks of life, races and religions. Young and old, students, professionals, tradesmen, workers in all areas including business owners and many more. Everyone can and will benefit from the World Taekwondo Association® Program. The World Taekwondo Association® is a one stop activity. Classes are tailored to your child and their skill level. Your child will through learning basic forms, kicking,blocking and striking, improve and increase their self-confidence. These fundamental skills will increase your child’s physical co-ordination, flexibility, balance and mental state. Training with us will develop your child`s athletic abilities self awareness and improve their capabilities in self defence. The self discipline that develops through your child`s training in practicing the techniques usually carries over into other areas of their life. This includes school, self discipline and self respect. With the World Taekwondo Association® we help you to recognize and handle any situations in which self-defence may be required. Using our complete martial art system, you will be able to learn techniques you need to defend yourself in any situation. Through your training you will learn to overcome fear, self doubt and most of all achieve your potential. What you learn could help you to prevent becoming a victim. World Hap-kido Association® are members of the Hanminjok Hapkido Association and the World Kido Federation, Under President and Grand Master In Sun Seo. The World Taekwondo Association® Program will strengthen your body and improve your health through physical exercise and conditioning. Isometric and dynamic tension exercises will allow you to gain better muscle tone and more strength. Our Slowly building process of safe and easy stretching techniques will enhance flexibility, while breathing and concentration exercises will lead to sharper reflexes and senses. With World Taekwondo Association® you will increase your energy and have better health and fitness, greater co-ordination, and higher self esteem. These Qualities like this could lead to a happier and longer life. The World Taekwondo Association® will expose your positive qualities that you have and will help you to nurture your confidence, patience, self discipline and positive mental attitude. Some students just want practical training - Some want regular exercise to tone up, build stamina and strength. Others train to relieve stress and anxiety built up through work, home, worry and every day life. Some to lose weight - Some for Fun. Some want competition, and others want to attain the Black Belt. These are some of the reasons why people train in the Martial Arts. Whatever the reason, World Taekwondo Association® students will quickly become aware of the many benefits of training in Martial Arts. They will become confident that they are learning to defend themselves, and this quiet confidence filters through their everyday life. Get Fit, Tone up, Feel good. Your choice!!! The World Taekwondo Association® Adult program will help you to develop and maintain a sound body and mind, and increase your abilities in self–defence. Who  Studies Martial Arts ? People from all walks of life, races and religions. Young and old, students, professionals, tradesmen, workers in all areas including business owners and  many more. Everyone can and will benefit from the World Taekwondo Association® Program. The World Taekwondo Association® is a one stop activity. Classes are tailored to your child and their skill level. Your child will through learning basic  forms, kicking,blocking and striking, improve and increase their self-confidence. These fundamental skills will increase your child’s physical co-ordination, flexibility, balance and mental state. Training with us will develop your child`s athletic abilities self awareness and improve their capabilities in self defence. The self discipline that develops  through your child`s training in practicing the techniques usually carries over into other areas of their life. This includes school, self discipline and  self respect. Using our complete martial  art system, you will be able to learn techniques you need to defend yourself in any situation. World Hap-kido Association® are members of the Hanminjok Hapkido Association and the World Kido Federation,  Under President and Grand Master In Sun Seo. The World Taekwondo Association® Program will strengthen your body and improve your health through physical exercise and conditioning. Isometric and dynamic  tension exercises will allow you to gain better muscle tone and more strength. Our Slowly building process of safe and easy stretching techniques will  enhance flexibility, while breathing and concentration exercises will lead to sharper reflexes and senses. With World Taekwondo Association® you will increase your energy and have better health and fitness, greater co-ordination, and higher self esteem. These  Qualities like this could lead to a happier and longer life. The World Taekwondo Association® will expose your positive qualities that you have and will help you to  nurture your confidence, patience, self discipline  and positive mental attitude. Some students just want practical training -  Some want regular exercise to tone up, build stamina and strength. Some to lose weight -  Some for Fun. Whatever the reason, World Taekwondo Association® students will quickly become aware of the many benefits of training in Martial Arts. They will become  confident that they are learning to defend themselves, and this quiet confidence filters through their everyday life.